Are you interested in doing business in Moldova? Are you interested in taking a trip to Moldova? Are you of Moldovan heritage and living, working or visiting Cleveland or Northeast Ohio? Submit your Cleveland Moldovan news and events. Submit your Cleveland Moldovan organizations and resources. Submit your Cleveland Moldovan jobs, classes and other opportunities. 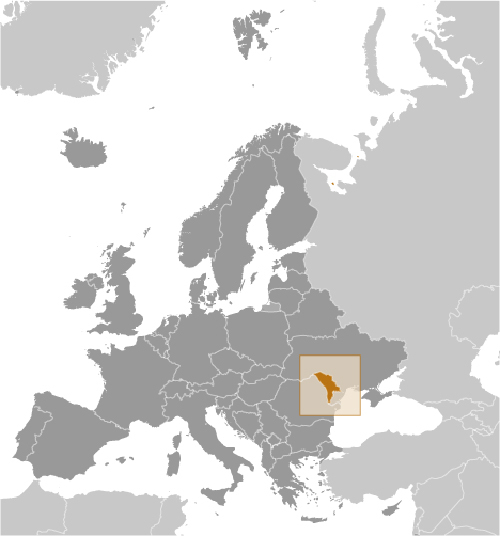 Part of Romania during the interwar period, Moldova was incorporated into the Soviet Union at the close of World War II. Although the country has been independent from the USSR since 1991, Russian forces have remained on Moldovan territory east of the Nistru River supporting the breakaway region of Transnistria, composed of a Slavic majority population (mostly Ukrainians and Russians), but with a sizable ethnic Moldovan minority. Europe's poorest economy, Moldova became the first former Soviet state to elect a communist, Vladimir VORONIN, as its president in 2001. VORONIN served as Moldova's president until he resigned in September 2009. Four Moldovan opposition parties then formed a new coalition, the Alliance for European Integration (AEI), iterations of which acted as Moldova's governing coalitions over the next several years. In May 2013, two of the original AEI parties and a splinter group from a third re-formed a ruling coalition called the Pro-European Coalition. The Moldovan Government in summer 2014 signed and ratified an Association Agreement with the EU, advancing the Coalition's policy priority of EU integration. Following the country's most recent legislative election in November 2014, the three pro-European parties that entered Parliament won a total of 55 of the body's 101 seats. Infighting among coalition members led to prolonged legislative gridlock and political instability, as well as the collapse of two governments, all ruled by pro-European coalitions centered around the Liberal Democratic Party (PLDM) and the Democratic Party (PDM). A political impasse ended in January 2016 when a new parliamentary majority led by PDM, joined by defectors from the Communists and PLDM, supported Pavel FILIP as prime minister. Tell us about the music, food, holidays, traditions, costumes, language and other qualities that makes people from Moldova so special. Submit your Cleveland Moldovan cultural items. Read more about the Moldovan and other Ambassadors. If you are interested in being considered to be an official ClevelandPeople.com Ambassador to the Cleveland Moldovan community, please contact us. If you want to reach the Moldovan community in Cleveland and Northeast Ohio, please contact us.